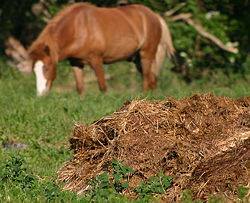 Danny’s Dumpsters now offers a Cow / Horse Manure removal service. Recycling is an important part of going green as it keeps waste out of landfills. Start going green by utilizing Danny’s Dumpsters Manure removal service! Let Danny’s Dumpsters deliver one of our Environment friendly containers to your farm and let us recycle your animals waste. Manure removal / hauling service price varies but we can personally fit each customer’s needs. 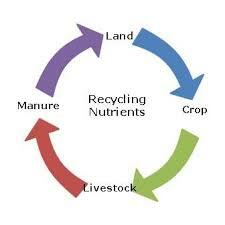 Once manure / waste is collected, it is stock piled and allowed to mature. From there, it is mixed into high grade top soil and offered for sale to the public to reintroduce to their farm or land. 10 yd container with a rear opening door.